Perfect for hard to reach connectors. Works in deep or tight boxes where pliers or fingers can't. Patent pending drive shaft design lets you easily loosen and tighten conduit connectors using a stationary twisting motion. 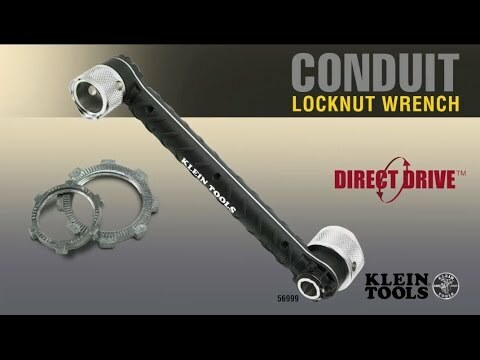 Turn a complicated operation into an easy two hand task with Klein's conduit locknut wrench. Do not use on or near live electrical circuits.